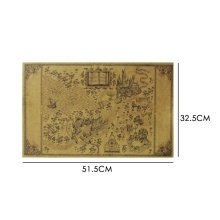 This is a magic world decoration painting, very suitable for fans to collect. A perfect gift for movie lover. Suitable for kinds of occasions such as dormitory and coffee shop. There are two sizes for you to choose.